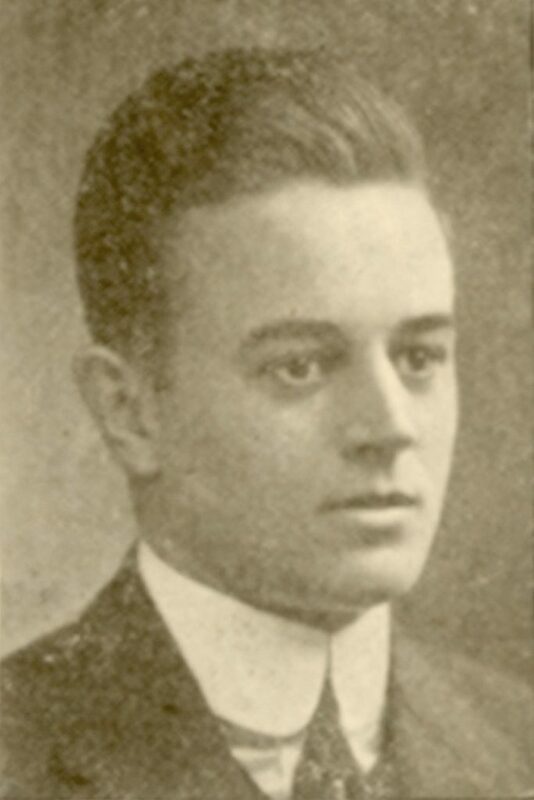 Jervis Watson Burdick was born in Philadelphia on March 8th, 1889, and attended the William Penn Charter School before entering the University of Pennsylvania. While at Penn, Burdick was a member of the Psi Upsilon and Phi Kappa Beta fraternities as well as the Canteen Club and the Sphinx Society. As a member and captain of the Penn track team, Burdick was the Intercollegiate High Jump champion three years in a row, setting national records in the process. His career reached its pinnacle in 1912 when he was awarded a spot as a high jumper on the U.S. Olympic track team. Burdick was eliminated in the trials of these Olympics, held in Stockholm of that year. After graduating from Penn with a bachelor’s degree, Burdick went into the coal business as a broker in the Pennsylvania Building in downtown Philadelphia. He worked in that business for thirty-five years, during which time he was married twice and inducted into the University of Pennsylvania Hall of Fame. Jervis Burdick died at the age of seventy-three, on November 11th, 1962, in Bryn Mawr, Pennsylvania.